Is your current water heating system failing? Has it stopped working? If this is the case, you don’t have to keep showering with cold water. Simply call Fast Plumbers to get the issue sorted out in no time. 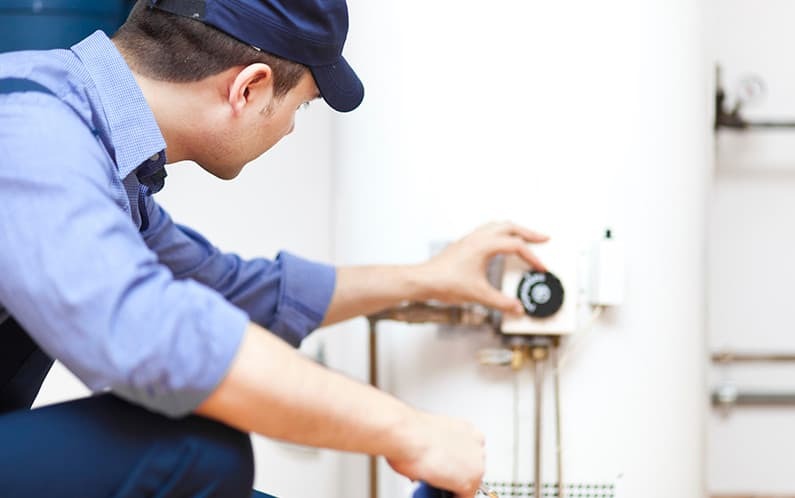 We’re the leading hot water plumbers, with vast experience in repairing water heating systems. We offer all kinds of repair and replacement services on all major brands of hot water systems. Moreover, we install and repair all kinds of gas, electric, and solar heating systems. We come with all repair and replacement components for all leading brands to ensure the repair is done during the first visit. Emergencies should never wait. We understand this fact, and that’s why we offer same day repair services. We also offer an accurate and upfront quote for the repair to assist you in making an informed decision. Our technicians are professionally trained and highly skilled. They will diagnose and fix the problem quickly to get your favorite hot water unit running smoothly. We also offer new hot water systems with competitive pricing. We deal in all leading brands across Australia. We also offer repair and replacement services. As a leading plumbing company that specializes in hot water installations, you can rely on us for the highest level of service. We have managed to retain at least 60 percent of our clients. In fact, most of our clients have been hiring our service since the day we opened shop. Repeat customers contribute to most of our revenue. In case you’re looking for a plumbing company that specializes in repairs and installations, then you have landed on the right page. Fast Plumbers is your best deal for all your hot water repair and replacement needs. Contact us right away for assistance on a 24-hour basis, every day. If you’re having problems with your hot water system or heater, simply follow this guide before calling a plumber to repair or replace the system. This guide may save you money and prolonged inconveniences. In addition, it’ll give you more understanding about the kind of problem you’re having. Note that this troubleshooting guide is specially prepared for electric water heating systems. Before doing anything, ensure you have experience in using a multimeter. Make sure you follow all the safety rules set in place when dealing with electricity. Also, never attempt to open access panels of the water heater system with power on. Remember to double check that power supply to the system is turned off. Avoid trusting the label on the circuit breaker. Check the circuit breaker or fuse box. Inspect the power connection to the water heater unit. Check the limit switch or reset button on the unit. Also, inspect the upper thermostat. Check whether the temperature level is set to a low level. Assess the size of the water heater. Check for any loose wiring. Check the fill or dip tube. Ensure the thermostat fits tight on the water tank. Check whether the thermostat is functioning. Remove buildup of sediment on the elements. Check for buildup of sediments on the heater elements. Maybe the water is extremely hot. There might be a shorted wire in the system. There may be water leaking somewhere around the element. Issues with the grounded element. The circuit breaker is weak. The circuit breaker is undersized. Check the orifices for any leaks. In case the tank is leaking, then replace it. Problems related to hot water heaters are serious. They should be handled with extreme caution. Thus, you need to be extra careful about the plumber you will hire to fix such problems. You should only consider a licensed plumber with vast experience. Hot water units tend to experience issues especially when you need them most. Imagine waking up early in the morning only to find your hot water system is delivering cold water, or you come home from a vacation only to find water leaking from the ceiling or your ground floor is flooded. This can be quite inconveniencing and frustrating. While it may sound somewhat sensational, when the hot water system fails, you will certainly panic. You will then start searching for a nearby plumber, probably from Yellow Pages, the Internet, and even recommendations. However, the situation will only worsen in case you end up hiring an unlicensed plumber. Poor installations of hot water units and the ever huge demand for water heating systems, including competitive pricing among manufacturers, have made manufacturers and dealers to be very strict with warranty claims. Thus, you would never want to hire a shoddy plumber since they will void your warranty. However, product failure is totally different from failure as a result of poor installation. There’re some problems that may occur due to poor installation, especially when working with unlicensed plumbers. These problems may include bad odors from drains and pipes, low or extremely high water pressure, flooding, mold, and dampness. There can also be serious problems such as contamination of drinking water, burns and scalding, breeding of diseases, and even tank explosions. Why Should You Hire Fast Plumbers? We start with determining the problem, then give you an accurate and upfront quote over the phone. We don’t hide any charges! We get at least 60 percent of business from our loyal customers. Most of our customers have been working with us since we opened shop. They have always appreciated our reliable service. Our customers are always happy working with us. They have always given us great feedback. We have a team of highly experienced, professionally trained, and licensed plumbers and electricians. They have all it takes to service hot water systems, blocked drains, gas lines, broken pipes, taps, and toilets among many other plumbing issues and fixtures. Contact us today through 1300 481 182 for professional and fast service.